In the south end of Ocean City, N.J., Jim Wolfe has seen his costs for flood insurance rise steadily for the past few years. He knows it will continue to climb in the years to come, as the federal insurance program moves to bring costs closer to the real market value of such policies. For now, he’s not exactly happy with the price increase. But it’s not enough to force him to look at other options, which could mean selling his home, or dropping flood insurance altogether. He can’t do that until he’s paid off his mortgage, which requires properties in flood zones carry flood insurance. “I don’t know really where it’s going to stop. It’s made me think about what I might be forced to do,” he said. An increase of $1,000 or $2,000 a year will mean an adjustment. But $10,000 a year? Tens of thousands a year for insurance? That will mean a change for Wolfe, and for thousands of others who live along the coast. While he’s waiting to see what happens next, there’s a national argument underway over the same question. The National Flood Insurance Program is billions of dollars in the red, and has been operating a deficit for years. Congress has until Dec. 8 to decide what to do with the program, and the issue has cut across party lines, pitting representatives of coastal communities against some in the center of the country. U.S. Rep. Frank LoBiondo, a Republican representing New Jersey’s 2nd Congressional district, says some in his party are pushing to can the program, or cut it deeply enough to be the same as eliminating it. That could be devastating to the shore towns he represents in South Jersey, and to coastal communities around the country, he said. “I don’t even want to think about it. Nothing good can come of that,” he said. But there’s a big push for budget cuts at the federal level, and limited patience for a program some see as subsidies to rebuild summer homes for rich people. 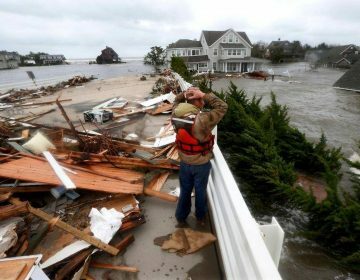 New Jersey’s Senators, Democrats Bob Menendez and Cory Booker, are backing a six-year reauthorization plan they say will put the NFIP on solid financial ground and push for flood mitigation, while avoiding crushing rate hikes. They’re joined by other coastal lawmakers, including three staunch Republicans; Sen. John Kennedy of Louisiana, Thad Cochran of Mississippi and Florida’s Marco Rubio. Over on the House side, LoBiondo said he has joined other coastal representatives from both parties to try to preserve the program. He said they’re holding out for what he called a fair approach, saying there is a consensus, “But the forces of evil still haven’t agreed yet.” Among those he cited as opponents on this issue was fellow Republican Jeb Hensarling of Texas, representing the landlocked 5th District. LoBiondo said Hensarling would like to see the program scrapped, or else made so unworkable it would be as good as ending it. Hensarling has certainly been a critic of the current system. In an opinion piece posted after Hurricane Harvey slammed Houston in his state, Hensarling argued that the current National Flood Insurance Program hurt more than it helped, encouraging reckless construction in flood zones. “With pricing discounts that do not reflect the reality of risk, the program creates perverse incentives to build and re-build homes and businesses in flood-prone areas,” he wrote. Hensarling was not available to comment for this story, but a representative said he unequivocally did not want to eliminate the National Flood Insurance Program, but to reform it so that it makes sense. According to his office, he supports reforms that will make it affordable, sustainable and safer. 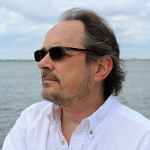 When Wolfe bought his home in Ocean City in 1997, he knew his flood insurance policy benefited from federal subsidies, but he didn’t think much about it. 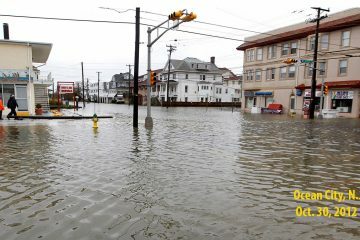 Flood insurance was a fact of life, just something that comes with owning a home near the shore. Thousands of other property owners paid their premiums year after year, many never noticing that the rate was kept far below market value, at least until that number began to climb. Those increases were born out of the last attempt by Congress to make the flood insurance program viable. 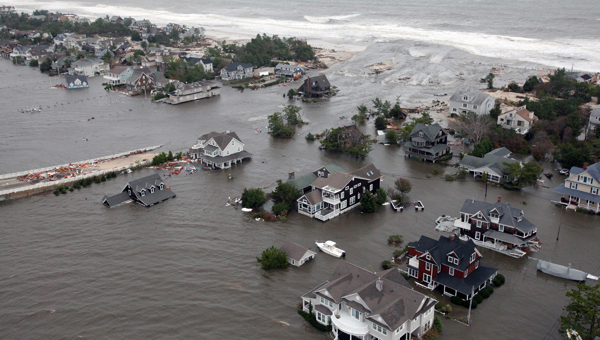 In 2012, before Superstorm Sandy, Congress passed the Biggert-Waters Flood Insurance Reform Act. Its goal was to bring rates closer to the real cost of flood policies. The act planned to phase-in policy increases, but some coastal lawmakers balked after constituents saw those first increases, and in 2014, Congress moved to slow the rate of increase. But the amount the NFIP has to payout continues to exceed its revenues and with this year’s hurricane season the payouts will become even larger. The best-case scenario, according to Laura Lightbody, the program director for the Flood Prepared Communities initiative of the Pew Charitable Trusts, is to ensure that flood insurance coverage continues but at a sustainable level. “One of the ways to do that is to have insurance rates that actually reflect and communicate the risk,” she said. Lightbody says this would bring an end to underwriting high risk costal development and result in fewer people living in flood-prone areas. She also sees a role for private insurance companies to return to the market. Lightbody says it’ll be important that insurance companies don’t just cherry-pick the most lucrative areas to write policies and leave the government to cover the highest risk customers. The NFIP was founded in 1968, in response to a series of severe storms, including Hurricane Betsy in 1965 and the March 1962 nor’easter, which on the Jersey Shore set the benchmark of what a devastating storm looks like for generations. That spring storm stalled offshore for days, inundating New Jersey’s barrier islands and reshaping entire communities in ways unmatched until Sandy. 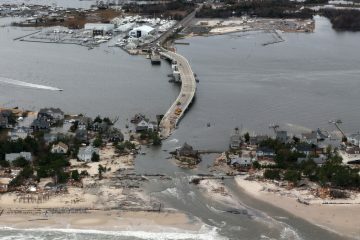 Flood insurance was not part of regular homeowner policies, and private insurance companies were reluctant to write policies for coastal communities. The high risk for individual homeowners was part of the equation, but not the whole story. When the big storms hit, they hit whole communities, or even entire regions, which meant big payouts to hundreds or thousands of homeowners from a single event. The answer was the National Flood Insurance Program. The federal government would underwrite policies, keeping flood insurance in reach for those living in coastal communities. Ideally, this would mean the feds would no longer need to step in to help rebuild towns after disastrous storms. But critics of the program – and there are plenty of them – say the NFIP morphed into government subsidies for risky investments. Since the creation of the NFIP, more people have moved to the coastline than ever before, undeterred by repeated warnings of rising sea levels and potential storms. John Oliver, the host of the HBO program “Last Week Tonight” recently summed up why the NFIP is in so much trouble. Lawmakers have introduced legislation to reauthorize the debt-ridden National Flood Insurance Program that is set to expire. The measure calls for increasing flood insurance premiums for many property owners to help firm up a program under stress from ever-more frequent and powerful storms.